Launcher 8 – Bring Windows to your Android device. I’ve fallen in love with the Windows Phone 8 feel and UI recently but I’m stuck with an Android phone for the next year and a half. I’ve got nothing against my GS3 and Android, but the UI is bland. The great thing about Android is the customizing ability for each phone. Enter Launcher 8. Launcher 8 is a free launcher that can be found on the Play Store. 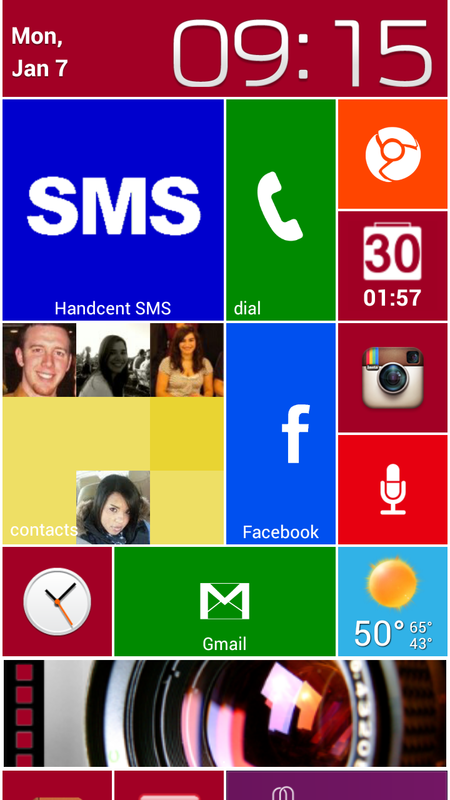 Simply download the launcher and you can have the beautiful Windows Phone 8 UI on your Android device. The app is constantly being updated due to minor bugs found throughout use (it’s a launcher, what do you expect?) but it’s not enough to take away from the job the development team did to bring this awesome customization to Android.